When it comes to the best travel backpack, comparing the Osprey Porter 46 vs Farpoint 40 is a must. Both are exceptionally well-designed, tough as nails and worthy of any trip around the world and back. If you’re anything like me, you spend a lot of time boarding planes, buses and trains. My backpack is hands down one of the most important pieces of gear I own, second only to my laptop. When you start looking into buying the best, durable travel backpack, you inevitably wind up comparing the Osprey Farpoint vs Porter. They are hands down two of the best travel backpacks on the market. And although both the Osprey Porter 46 and Oprey Farpoint 40 are excellent packs, they have some key differences that will help you decide which one is right for you. Depending on what type of gear you’re usually packing, what type of traveler you are, the terrain you’re usually trekking, and what kinds of features you value more highly, the Osprey Farpoint and Porter will each show clear strengths and weaknesses. So today we’re going to cover it all. We’ll look at the Osprey Farpoint vs Porter in every category. From the way they fit, to the gear they’re good for, and everything in between. If you haven’t already, post your junky old backpack to Craigslist and start reading. By the end of this review you’ll have a new Osprey in the mail and you’re old, dilapidated backpack will be sold to a new home. Just don’t tell them to read this Osprey Farpoint 40 vs Porter 46 review, or they might ask for their money back! What is the Best Carry On Travel Backpack: Osprey Farpoint vs Porter vs Transporter? When it comes to finding the best carry on travel backpack, there are a couple of questions you need to consider first, before you can make an educated decision about what is right for you. After all, a digital nomad who’s packing a laptop, camera, and external hard drive needs a very different set of features than a adventure traveler heading on alpine hikes. So first, what gear do you always have in your pack? For me, that’s my laptop, my journal, a GoPro with extra batteries, and a number of small gadgets. That means I need a padded laptop pocket, a number of small pockets for accessories, and high quality zippers and seems to hold weight and keep water out. However, before I made the shift to the life of a digital nomad, I had a very different load out. Back then my pack was all extra layers, a water bottle, pocket knife, journal and a book. That’s because my day pack was mostly for hiking in the mountains, or going out in the city before I had a car. So ask yourself what types of trips you take most often and what types of pockets you’re going to need. The second thing you need to consider is comfort and durability. Are you likely to be packing your Osprey Farpoint or Porter to the gills? Or are you more often than not just going to be putting in a few essentials? People who are regularly traveling far from home are going to need a more durable bag with an emphasis on comfort. That’s because you’ll be carrying more weight for longer stretches. The more style minded among you may also consider the look of the Osprey Farpoint vs Porter. After all, how you look can have a big effect on how you feel. Just don’t get so bogged down in your style points that you forget to consider the main features of each travel backpack. The Osprey Porter 46 is named for what it’s made for: carrying lots of gear and goods while you travel the world. It’s design focuses on maximizing space and carrying capability. At 46 liters, it’s one of the biggest day packs on the market and may almost be too big for some people. However, convenient compression straps, a hip belt, and sternum strap all help keep the load balanced and manageable. Unlike the Farpoint, the Osprey Porter does not have an aluminum frame. That means it feels more like a duffel bag on your back than a full on backpack. It was actually designed with that in mind. Handles on the top, bottom and side make it easy to carry from any configuration. Tuck-away straps also add to the convenience when you’re boarding a plane. All in all, this pack is great for the traveling digital nomad, or the world wanderer. It can easily fit your entire life inside. The main storage compartment on the Porter is BIG. 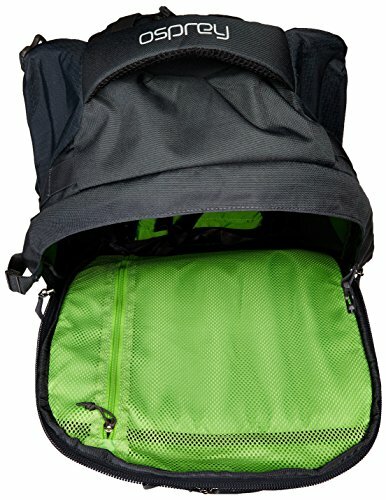 One of the biggest daypacks on the market. When you compare the Osprey Farpoint vs Porter, it’s easy to see the size difference in the main pocket. In most cases that’s a big plus, since you can compress the bag to whatever size you need. However, some travelers may find it a bit excessive. Personally, I love the extra carrying capacity. It’s just enough that I can actually travel with only this backpack for up to weeks at a time. There are plenty of modular pockets as well, so I have no problem packing plenty of clothes, an extra pair of shoes, and all my essentials into this pack. The organization pockets are probably my favorite features on just about any Osprey backpack. The Porter is no exception. Especially when I’m bringing along the electronics, I prefer the Porter vs Farpoint. That’s because the Porter can not only fit a 15″ laptop, it can also fit everything else I own. With extra pockets of just about every shape and size imaginable, I’ve never had to leave a piece of gear at home. There are also two large side pockets inside of the main storage compartment. These are great for filling with toiletries, socks and underwear, or dirty clothes. Personally, I like to use one for socks and underwear and the other for dirty clothes. Sometimes, by the end of a longer trip, they both become dirty laundry storage. Although they are a bit hard to access when the pack is full, they fit really nicely into the shape of the bag. When it comes to straps, handles, and diverse carrying mechanisms, both the Osprey Porter and Farpoint really blow nearly every other bag out of the water. The Porter is designed with sturdy carry handles available from just about every angle. Top, bottom, and side handles are almost excessive. At least, you might think so at first. Then one day you’ll have your bag stuffed way back in a carry-on compartment and will be so thankful for the bottom handle when it slides easily out. 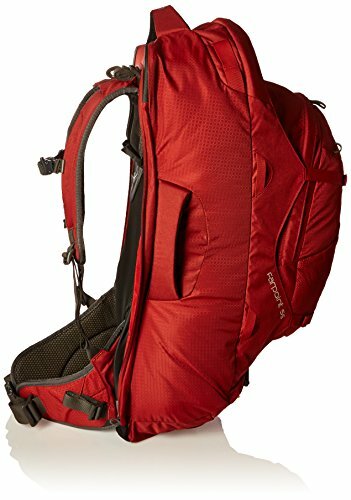 Oddly enough, the only discernible downside to the Porter is that it’s hip straps are less padded than some other daypacks. Presumably this is to cut weight and allow them to more easily pack away on the plane or train. However when comparing the Osprey Farpoint vs Porter, it’s obvious that the Porter has less strap padding and they also aren’t as adjustable or ventilated. However, that doesn’t mean they aren’t durable or are uncomfortable. It’s just that this bag is designed for more diverse carrying systems than just the good old shoulder straps. Think of it as more of a deluxe duffel than a downright day pack. If you’ve ever owned an Osprey day pack, or an Osprey product of any sort, you already know that they use all high quality materials and durable construction. The fabrics are high quality nylon. The buckles are high grade injection molded plastic and the zippers are foolproof. All around, there’s very little that needs to be said, this bag won’t break. The only feature that feels even the slightest bit below grade is the hip-belt. That’s because it has far less padding than the Osprey Farpoint and is not stabilized. It will strap the bag to your hips, but won’t give you the floating feeling that Osprey packs are so well known for. The Osprey Porter has a number of great features that I really love. Some, we’ve already covered like the electronics pocket with it’s sizable laptop sleeve and secondary screen space. The porter also features lockable zippers, although locks are not included. However, this is an essential feature for international travel with expensive electronics. There’s a zippered pocket and pouch to stow away the harness for alternative forms of travel where you wouldn’t want your bag getting snagged. Again, this feature is a must for me because I am often sending my bag through baggage claim and stowing it in overhead bins. Keeping the straps tucked away is one of the best ways to prevent hangups and lost bags. The porter is available in three different sizes, which is absolutely incredible by my opinion. After all, for some, 46 liters is just too much space. So check out the Porter 30L. 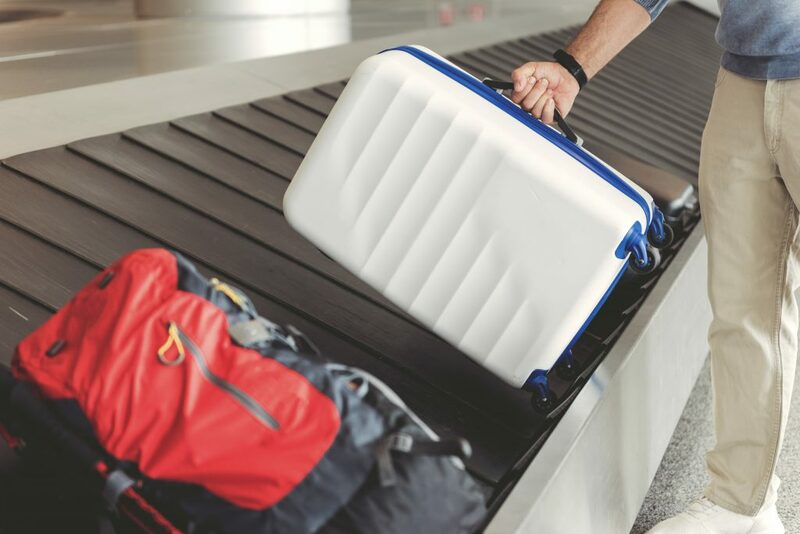 It’s got all the same great features but won’t every overfill a carryon bag limit. For some people though, keeping their bag below a certain size isn’t a problem and they actually prefer a bigger pack. That way, they can rely on it as a primary pack for just about everything. For them, the Porter 65L is just right. It’s literally the only pack you’ll ever need. Big enough to fit your entire life inside, but easily compressible when you aren’t carrying at full capacity. 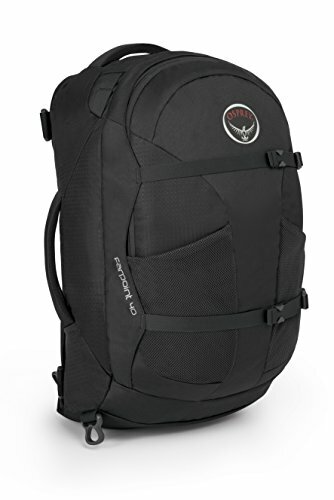 Between the three size options, 30L, 46L, and 65L, Osprey has hit a really great size range. If you like the Porter series, there’s a size to accommodate just about every type of traveler and every size of human. Storage Pockets: Two internal pockets, one zippered top pocket, external laptop pocket, main storage compartment. 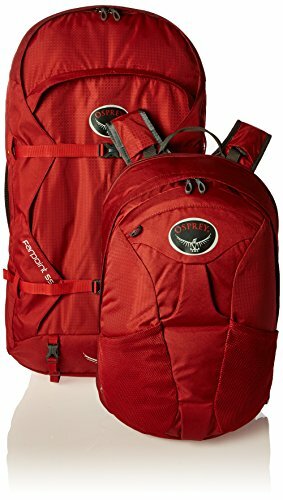 In comparison, the Osprey Farpoint vs Porter is more of a do-it-all daypack, less of a deluxe-duffel bag. That’s because the Farpoint (and the Fairview) both feature highly padded hip and shoulder straps, a lightweight aluminum frame, and adjustable stabilizing systems to maximize comfort. All things considered, the Farpoint is one of the best backpacks that has ever been made by Osprey, or any other company. At 40 liters, the most common size is a bit smaller than the Porter, but you’ll hardly notice because it is designed efficiently so that every compartment is easy to access and compress. Furthermore, Osprey has introduced a female-specific model of the Farpoint called the Fairview 40. The Fairview features a slimmer design that is more likely to fit a woman’s back comfortably. Not everyone is a believer in gender specific packs and the internet is filled with mixed opinions. Some women think it really is more comfortable for them than the Farpoint, while others find the trend of gender specific packs to be unnecessary or even offensive. You’ll have to decide where you stand on that issue for yourself. The main storage compartment on the Osprey Farpoint 40 vs Porter 46 is a bit smaller, but feels almost as spacious. That’s because it doesn’t have the internal storage pockets on the sides and instead features just one zipper pocket on the inside top. That makes the main storage pocket feel a little less modular, but a lot more streamlined. The Farpoint also features internal adjustability to keep everything packed just right. 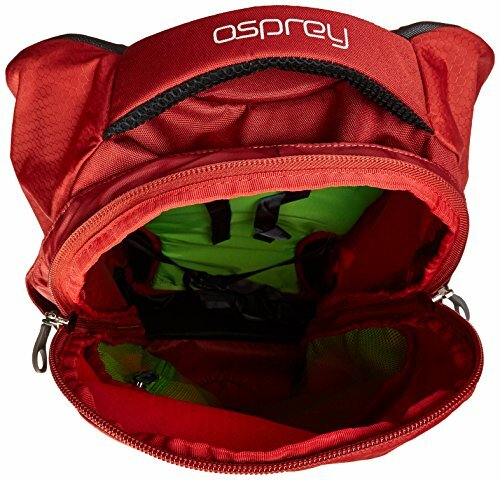 The main storage pocket on the Osprey Farpoint is also extra easy to access due to the low-lying zipper deign. That means you can open this bag all the way up like a suitcase and easily access every inch of your storage space. Although the Farpoint doesn’t feature as many modular pockets inside of the laptop pocket, it fits the same size screen and although it doesn’t feature all the little spaces for gadgets and accessories, it’s a great space for a couple pens, pencils, or extra batteries. Like the Osprey Porter, there is also a secondary screen pocket for something like a Kindle or iPad. In addition to the electronics pocket, the Osprey Farpoint also features an interior zippered mesh pocket to help separate your main storage. Want a smaller space to throw your sunglasses when the sun goes down? The Farpoint and Fairview also feature a scratch-proof exterior zipper pocket that’s just the right size for a pair of sunnies, a phone, or an ipod. One of the best additions to the Osprey Farpoint 40 vs Porter 46 though, is the set of exterior mesh pockets. They’re perfect for fitting things like water bottles, snacks, or cameras. On the trial, it’s great to have quick and easy access to those types of things. This is just one more reason why the Farpoint makes the best durable backpack for travel. The Farpoint features top and side handles that are sturdy and well padded. That makes this bag easy to carry in just about any configuration and convenient for overhead bins and alternative forms of travel. The main straps on the Farpoint are what really give it it’s strong sense of identity. This is a backpack through and through, and that’s because of the well padded shoulder and hip straps. The adjustable frame and the sternum strap combine to make this bag a true backpackers bag. It can carry quickly and easily in the city, but won’t feel out of place deep in the woods on long hikes. Unlike the Osprey Porter, the Farpoint also has a removable shoulder strap. You can clip it on and sling this bag over your shoulder, or you can take it off and leave it at home. This is a really cool feature that allows for yet another type of carry. Great for when your load is lighter or you’re only traveling short distances, such as too and from the car on workdays. I mean, I’ve said it before, and I’ll say it again. Osprey is at the top of the line when it comes to making top quality outdoor equipment. The Farpoint in many respects feels even sturdier than the Porter because it has a high quality built-in frame and more padding on the hip belt. All of the nylon is strong, ripstop, and all the buckles are high quality injection molded plastic. There’s really no part of this bag that is going to fail you. Until you’ve used it for years and years, this bag is going to be reliable and ready to go on just about any expedition. Ventilated back and shoulder padding and the LiteWire frame provide an incredibly comfortable fit. When you couple that with the padded hip-belt with stabilizer straps, you almost feel like the bag is floating along behind you. The multiple carry handles and removable shoulder strap make this bag versatile and efficient in a wide array of situations. Like I mentioned before though, probably my favorite features on this pack, even though they are simple are the external mesh pockets and the scratchproof zipper pocket. Even though this bag doesn’t have the same amount of modular storage in the electronics compartment, these additions make it easy to keep gear organized and easily accessible. The Osprey Farpoint vs Porter offers a distinctly different set of sizes. Because this bag has more balanced and comfortable strap options, it is also designed to come in larger sizes and sustain longer trips. The Farpoint comes in the same 40L, 55L, 70L, and 80L sizes. As you can see, this pack gets a lot bigger than the maximum size of the Porter at 65L. The larger sizes of the Farpoint are also designed to be even more modular and have removable daypacks as well as slightly different pocket configurations. The Osprey Fairview, designed for women comes in the same 40L, 55L, and 70L sizes but does not offer the biggest 80L size. Storage Pockets: Zippered internal mesh pocket, top scratchproof pocket, two external mesh pockets, laptop/tablet sleeve, main compartment. Although the Osprey Transporter 40 is something quite different than the other two bags in this review, it’s every bit as durable and every bit as useful. 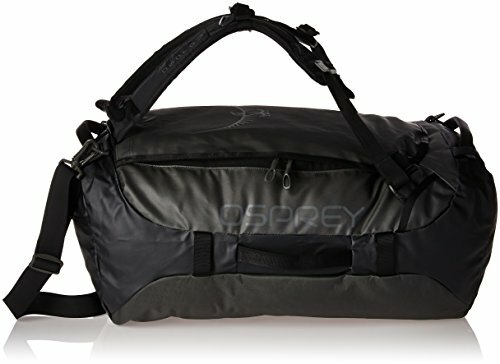 The Osprey Transporter vs Porter and Farpoint is designed to be more duffel bag than backpack. That means less attention given to a high quality strapping system and more given to maximizing storage capacity, durability and airport friendly sizing. The Osprey Transporter 40 shares a lot of features with the other two bags we’ve reviewed today. However, the big difference between the Transporter and other bags on the market is durability. This bag is tough as nails. Although you might not want to but it down on a bed of nails, but you’d probably pick it back up in one piece. A double sided TPU coating inside and out make this bag burly. Burly enough to pack a full load of climbing gear inside, and to haul up sharp rock faces on the outside. The main storage compartment specifically holds 2441 cubic inches of gear. It’s enough to pack plenty of gear, yet the efficient shape design is specifically made to take on the plane without a problem. Although the Transporter does have two zippered end pockets, the main storage compartment is just about the entire bag. At almost 21″ long, this bag basically maximizes what you can carry onto the plane. As previously mentioned, there are two zippered end pockets that are great for storing headlamps, keys, or other valuables. There is also an ID badge pocket with clear covering for easy bag identification. On the inside there’s a nicely sized zippered mesh pocket for keeping those special items separate. For me, that means socks and underwear, or when climbing, my extra slings and cordelette. For you it might be the rain-gear, extra footwear, or a special outfit. As you might expect, the Transporter is absolutely covered in handles. There are four burly webbing handle straps, one per side. That means no matter how you’re stowing the Transporter 40, it will be easy to get in and out of place. This duffel bag also isn’t content to be pigeon holed as a carry on or haul bag. It comes complete with a full set of shoulder straps for backpack style carry. Sure, they aren’t as comfortable as the Osprey Farpoint or Porter, they’ll certainly get your bag from point A to point B when you’d rather have your hands free. When it comes to the Transporter 40, the materials it’s made from are what really set it apart. 840D Nylon with a double TPU coating is just about as durable as it gets. That’s because Osprey specifically designed this bag to take on tougher travel and burlier beatings. Although the shoulder straps aren’t made to be the most comfortable, they are certainly durable. The Transporter is designed to take on heavy loads, so every strap, handle and tie-down grommet is ready to take the load. The Osprey Farpoint vs Porter extra features were all about pockets, and comfortable carry. However, when it comes to the Transporter, it’s all about tie downs, weatherproofing, and durability. The fabric is hardened and reinforced with internal ribbing so that your bag is protected from sharp objects both inside and out. In total, the Transporter has 12 grommets for tying it down or lashing gear to it. The zipper openings feature weatherproofing rain flaps to keep your gear dry. Last but not least, the ID pocket keeps your bag from getting lost on airport trips and bus rides. Although the Transporter 40 is of modest size and seems pretty manageable, it’s older siblings get pretty big. Unlike the Porter and Farpoint, the Transporter’s smallest size is the 40L. Bigger sizes available are 65L, 95L, and 130L. That means you can not only take all your clothes, personal items, and accessories, but can also fit climbing gear, camping gear, or anything else you need along with you. All sizes of the Transporter feature a full set of shoulder straps, although in the bigger sizes, you might wish they had a little more padding. Storage Pockets: Main storage, inner zippered mesh pocket, dual outer end pockets, id tag pocket. So as you can see by now, Osprey has got a bit of everything. Whether you’re looking for a tough as nails duffel, an all purpose travel backpack, or something in between, this is the company you want to go for. Osprey has been making the highest quality packs on the market since 1974. That’s a long time, and all that experience is why their gear is so good. In this travel backpack buying guide, we’re just covering three of their midsize bags. They’re perfect for day trips, short term travel, or anyone who knows how to really pack it down. However, if you’re looking for bigger bags, don’t worry. Osprey offers a wide range of backpacks and bags designed for just about every type of adventure. Among the three we’ve reviewed today, they clearly each cater to a different type of traveler. The Osprey Transporter is great for hauling gear, no matter where you are. It’s especially good for heavy gear with sharp edges. As a climber, I absolutely love this bag. 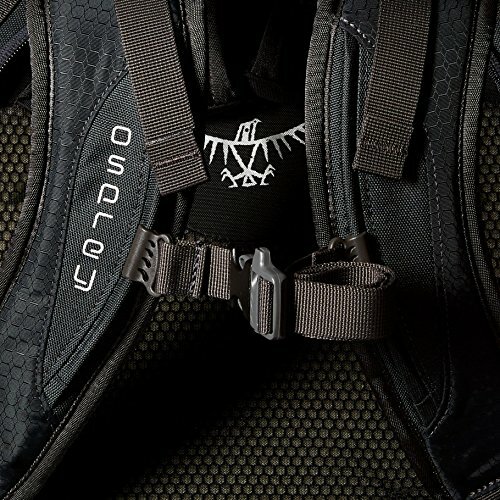 The Osprey Porter is named after it’s intended use. Porting your possessions across long distances, wild adventures, and international borders. It’s big enough to fit all your important gear and gadgets. However it’s also comfortable enough to spend hours on your back, day after day. The Osprey Farpoint is perfect for digital nomads, freelance photographers, or anyone who brings business on the road with them. Not designed to be carried constantly, but instead loaded onto buses, trains, and planes while keeping your electronics safe. Beyond providing some of the highest quality backpacks on the planet, the Osprey backpack warranty is bar none, one of the best you’ll ever find. It doesn’t matter if you bought your pack way back in 1974, if it’s not looking good, send it to them and they’ll repair it or replace it. Don’t just take it from me, on their website the Osprey backpack warranty is clearly described. Any Osprey pack, any type of defect or damage, they’ll do it free of charge. What if your bag is beyond repair? Don’t worry, with the Osprey backpack warranty, if they can’t functionally repair your bag, they’ll replace it free of charge. Seriously. The only other question that we’re all wondering? How on Earth do they get away with a warranty like that and still make money? Well, if you’ve ever owned an Osprey pack, you’ll know that it’s a lot harder than you think to do any harm to one of these bags. It’ll take you a lot of hard travel and heavy loads to have any need of your Osprey backpack warranty. If you’re not familiar how to fit a backpack, it’s time to learn. In this video, Osprey goes over all the things you need to know about how to measure your back as well as how to adjust your pack. Once you’ve measured your back, use this sizing chart to determine the right size for you. Or you can visit the Osprey website here. Osprey packs were made in the US for most of their long history. First they were in Santa Cruz, California, then they moved to Dolores, Colorado. But starting in the year 2000, they began to move production overseas to Vietnam. The truth is that when your competitors are all doing it, you either need to let their prices undercut you severely, or you need to follow suit. Combine that with Osprey’s growing markets around the globe. The job was just getting too big for their relatively small operation in Colorado. What founder Mike Pfotenhauer did next is what really set Osprey apart. He packed up his home and moved his family to Vietnam with his business. They intended to stay for two years, but wound up staying for four. All so to ensure that Osprey packs would continue to be manufactured to the highest standards. So although Asian manufacturing is often synonymous with lower quality, Osprey is a sure exception to the rule. The increased revenue and reduced operation costs allowed them to introduce the All Mighty Guarantee, one of the most comprehensive guarantees ever offered to consumers anywhere in the world. If you’re not quite sure what type of pack is right for you, we’re here to help. If you still haven’t quite narrowed down which factors or features will be the most important in your travels, we’ve got your back. Maybe you’ve never owned a carry on backpack like this before. Or perhaps you’ve never been a frequent traveler before. Don’t worry. In this section we’ll break down all the things you should consider about your lifestyle before you buy. The first thing to think about is what type of travel you’ll be doing most of the time. This will have the greatest impact on what type of bag will be most useful. For most people, the main consideration will be the Osprey Farpoint vs Porter. These two packs cover most regular traveler’s needs. However, there will be those few who need the Osprey Transporter’s added durability for hauling gear on big expeditions. Consider how often your bag is likely to be on your back vs how often it is likely to be stowed in a car or overhead compartment. Not only that, but what size compartments is it likely to be stowed in? Are you a frequent flyer, or do you more often find yourself on buses and trains? Secondly, what type of gear are you going to filling your travel backpack with? The best carry on travel backpack will match what goes inside of it, not just what goes on outside of it. Are you more concerned with your electronics or your clothes and common items? 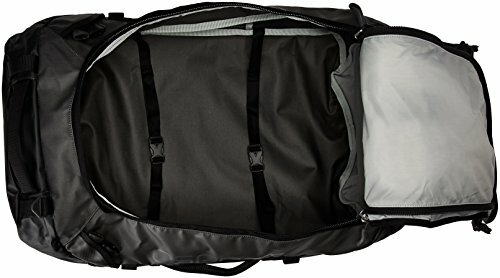 Or are you looking for a more specific use bag like a gear hauler for things like climbing gear, scuba gear, or group supplies for big expeditions? What type of travel and what type of contents you’re going to be using your bag for will help you decide what size is right for you. After all, if you’re flying around the world with this thing, you don’t want it to be too big for an airline carry on. If that’s you, your first consideration should be complying with carry on size when your bag is fully packed. If you tend to travel in a more grounded fashion, then the type and amount of gear you tend to carry should be what determines your pack size. If you’re using it for your gear, get it all out, and see how much space and weight it all takes up. Then also consider the possibility of you expanding your arsenal in the years to come. A bigger bag might be better. Don’t just consider the size of your gear when you look for the best travel backpack. You should also consider the size of… well, you! After all, if you’re just over five feet tall, then getting a behemoth bag for hauling gear might just be impractical. Likewise, the most comfortable size of travel backpack will differ for someone who’s six and a half feet tall vs someone who is five feet tall. Remember that comfort is just as important as capacity when it comes to long hikes in the mountains and extended exploration of cities. What type of storage and organization pockets your travel backpack has should match what type of person you are. Some travelers are highly organized and compartmentalized packers. For them, having enough pockets to get everything into it’s proper place makes a world of difference. However, not everyone needs to pull out all the stops for organization. Simple packers might prefer to use that extra space, weight, and design cost to have a more comfortable fit. When considering the Osprey Farpoint 40 vs Porter 46, this is a huge consideration. That’s because one of the main differences between the two packs is their organizational ability vs overall comfort and contour. Speaking of comfort, it’s the next most important thing on our list. 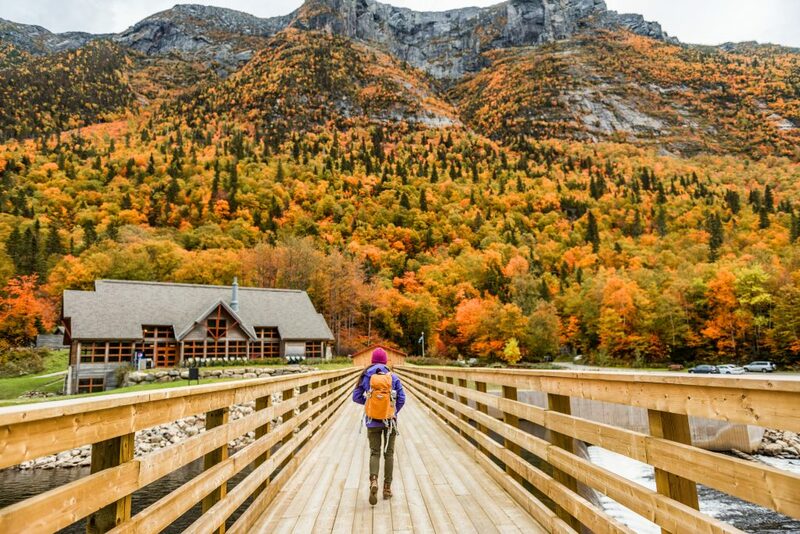 After all, the best travel backpack needs to feel good on your back for hours in the mountains, in a foreign city, or walking through train stations on long days of travel. The comfort and fit of your bag really brings all of the previous considerations together into one package. What size is right for you? How much storage do you need? What type of travel will you be doing? Do you need extra breathability, adjustability, and padding on your shoulders? If so, go for the Osprey Porter. Or would you rather opt for the more featured storage compartment on the Farpoint? No one can tell you what pack will fit you best, both in terms of comfort and lifestyle. You’re going to have to consider all the factors we’ve listed above. es. However, don’t be fooled by MSRP prices in stores, it always pays off to compare online prices to get a deal. Depending on what type of travel you’ll be taking on and how heavy your pack normally gets, you’ll be more or less concerned with your straps and handles. Someone living on the road traveling by diverse modes will need more diverse carry options. However, if you intend to do mostly backpack carry, you should instead opt for the Porter’s elaborate shoulder strapping. Some people aren’t thinking so much about diversity, but about a favorite mode of carry. Are you an over the shoulder carrier? Perhaps you can’t do without a sturdy side handle for hauling short distances. When it comes to materials and durability, you can count on all of Osprey’s packs to take a serious beating. However, there are some uses where one stands out above the others. For the most part, this comes into play when considering the Osprey Transporter vs Farpoint vs Porter. That’s because the Osprey Transporter is specially designed with heavy duty material inside and out so that it can reliably carry heavy duty equipment under all conditions. As a rock climber this is a big consideration. Putting all of my cams and quickdraws into normal packs over and over inevitably takes it’s toll on even the best normal fabrics. I’ve ripped holes in the lower corners of a lot of backpacks. That’s not a problem I’ve had so far with the Osprey Transporter. Or perhaps, after you’ve considered all the features of the best travel backpack for you, there’s still just one special feature that stands out. Can’t live without the organizational pocket on the front of the Farpoint? Are you an absolute sucker for the water bottle mesh pockets, or the no-scratch sunglasses pocket on the Porter? Or maybe it’s the multitudinous tie-down points of the transporter? Whatever your special preference is, there are sure to be special features on each of these packs that catch your eye. Don’t disregard your instinct. Remember, that’s going to have a big impact on your overall happiness with your purchase in the long run. You just can’t beat those special little features that speak to the traveler in you. Osprey Farpoint vs Porter vs Transporter: Which is the right travel backpack for you? So is it the improved storage and compartmentalization of the Farpoint, or the improved shoulder straps of the Porter that’s really caught your eye? By now, you’re sure to have a pretty clear view of what each of these travel backpacks has to offer. 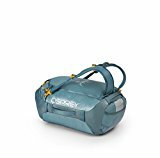 Osprey has done it’s best to offer the right mixture of features for every different type of traveler. And by now we’ve done our very best to explore every little detail of each of these packs. We’ve looked at what sets them apart as well as what features they share. 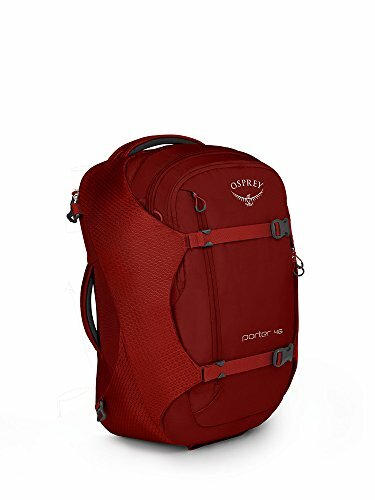 The Osprey Farpoint 40 is probably best for you if you’re a digital nomad, a traveler of diverse means, or someone who craves organization. The Osprey Porter 46 takes the cake when it comes to long backpacking trips, or anyone who needs top quality comfort on the road. If you are looking for an burly travel backpack-duffel crossover that can haul your gear around the world and back, the Osprey Transporter is a great option. Both are made with the highest quality materials and the All Mighty Guarantee which is without a doubt the best warranty in the business. If you do need a little extra durability and toughness though, again look at the Osprey Transporter for more serious jobs. Hopefully in twenty years, your son or daughter shoulders your pack and sets off on their first big international expedition. The seams will still be strong, the fabric still intact, the padding still plush. They’ll feel the love and care that went into the making of such an exceptional pack, as well as all the incredible adventures you carried it through along the way. And who knows, with the All Mighty Guarantee, maybe they’ll keep repairing it and one day, pass it on to their kids. That’s the legacy that Osprey has worked so hard to provide. While you’re at it, be sure to check out my other guides on the best carry on bags, the best travel duffel bags, and in-depth luggage comparisons.